TOKYO -- A tsunami advisory was issued for parts of southern Japan on Saturday after a magnitude 7.0 earthquake struck off the coast of the island of Kyushu. The Japan Meteorological Agency said tsunamis of up to 1 meter (3 feet) could hit the coast of Kagoshima prefecture on Kyushu and small islands to the south. 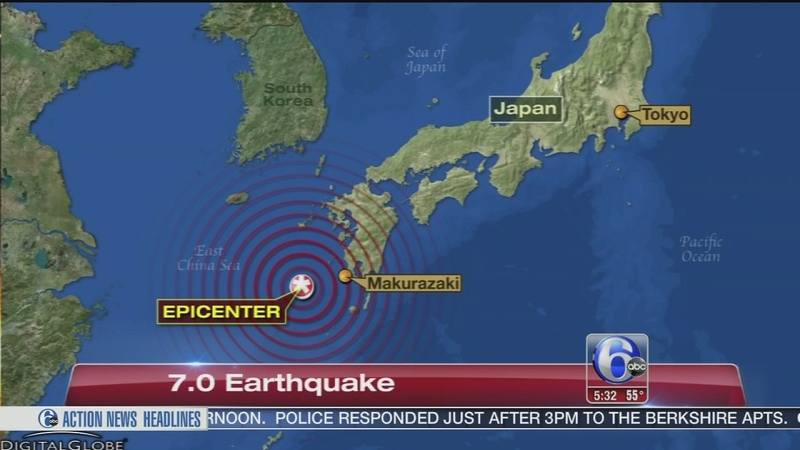 The U.S. Geological Survey said the earthquake struck Saturday at 5:51 a.m. (20:51 GMT) about 159 kilometers (99 miles) southwest of Makurazaki, Japan.